Secrets To Level 8 Gymnastics is almost 250 pages of advice from professional master gymnastics coaches about how to prepare, train and compete in women's USA Gymnastics Level 8. This program will answer all your questions about Level 8 competition and building a successful gymnastics career for the future. Get a new perspective on coaching Level 8 gymnasts. Find more innovative training ideas and concepts for training Level 8 gymnasts in this e-Book than is available anywhere else. Learn all the information you need and want to know about your Level 8 gymnast’s entrance into the beginning level of competition in the sport of gymnastics. Find out all about Level 8 competition and training and what your gymnast can and should be doing to be happy and successful in the sport. Secrets to Level 8 Gymnastics is the result of an obsessive quest, spanning more than 25 years, to create the best gymnastics training that takes the least amount of time. It contains the collective wisdom of many world-champion coaches, elite gymnasts, and tens of thousands of hours of research, experimentation, and refinement. This Level 8 e-Book covers the new skills for the 2005 – 2013 competitive seasons. An e-Book specially designed for Level 8 gymnasts, coaches and parents with hints and tips to teach you everything you will ever need to know about training for and competing. This is an interactive e-Book specially designed for Level 8 gymnasts, coaches and parents. After years of preparation and combining the experiences of professional National and International gymnastics coaches, here is a complete package of information with hints and tips designed to teach you everything you will ever need or want to know about training for and competing Level 8. If you’ve always imagined yourself running or participating in a successful Level 8 training program and beating the competition, then this may be the most important information you can read. These are proven training systems, not only for your current competition level but for your gymnastics future as well. This information program covers every area of the sport that relates to Level 8 gymnasts. The e-Book also offers important information about gymnastics in general, written from the experienced perspective of professional National and International gymnastics coaches. This program offers a complete detailed analysis of the Level 8 skills and routines, common errors, maximum amplitude analysis, learning progressions and drills to improve every aspect of the Level 8 competitive routines. This analysis is offered by coaches who train high level optional gymnasts and is designed to make your Level 8 experience not only successful this year, but a stepping stone to the next level and to the higher optional gymnastics levels. 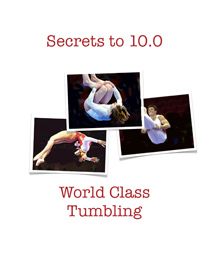 Read the most detailed analysis of the skills in the Level 8 routines that you have ever seen. Get a training perspective and knowledge just like you were sitting down with your own personal coach, who has taken the time to explain to you everything you need to know, and everything they know about training and competing for Level 8. No coach we know has the time or has taken the time to sit down and fully explain completely what their training program consists of, why it is designed that way, and what gymnasts could do to greatly improve their practices and performances. Our coaches have compiled all that information for your use and you can sit down and read it at your leisure. It is the rare Level 8 coach who has the perspective and experience reflected in this e-Book. In fact, hundreds of our e-Books have been bought by coaches who want to learn more. You can learn right along with them and know what they know. Get our e-Book edge advantage being used in hundreds of gyms around the country. Understanding the information and following the advice in this program can allow you to move through Level 8 and the sport with more confidence, less effort and in less time. You can master the skills and drills in this program and benefit long term or you can skip the basic building blocks provided here and face a future where at some point your bad habits will stop you short on your way to long term success. What are the most important skills in the Level 8 routines. How to avoid common errors on the skills in the Level 8 routines. The program shows you the proper learning progressions for all of the level 8 skills and the skills you should be training for the next level. It teaches you how to train at three different levels every day on every event and how to over train for Level 8 competition. This program not only a blueprint for training for Level 8, but is a training plan for preparing for advanced optional team training at the same time. Our materials provide gymnasts, parents and coaches with a complete education as to all aspects of the of Level 8 and its place in an overall gymnastics career. This program was developed from the top down. The coaches, information, concepts and training program are from high level optional training programs carefully and specially adapted to coaching Level 8 gymnasts. 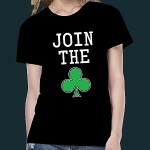 Get The Level 8 Program And 12 Bonuses! What Future Optional Combinations Does Level 8 Leave Out? While it is not yet a factor at Level 8, new rule changes in International gymnastic rules as they pertain to team competition have altered the sport significantly and therefore require changes in gymnastics training. These training changes are of such magnitude that they need to be considered at the lower levels of optional training, like Level 8. The new rules specify that three gymnasts will be designated to compete for a country’s team in International competition and every one of their skills will count. Previously, teams were larger and able to ‘drop’ one of their scores if a gymnast say happened to fall. The new rules make depth on a team considerably less important and leave zero tolerance for major and even minor errors. This rule change benefits smaller countries and weaker teams allowing more of a chance for any team that happens to hit the day of competition to beat larger and stronger teams who might have one or more falls or errors. This change makes the sport at the international level even more intolerant of human error than it was previously. In a sport already subjectively decided by tenths, hundredths and even thousandths of a point, this extends the pressure of perfect execution from the event and all-around arenas to the area of team competition. Unlike most other sports, gymnasts only get one chance at winning an event. There are no opportunities to make up for a poor performance or an error later in the ‘game’ like in other sports. Gymnasts must train even more diligently for zero-error performances, not just to enhance their opportunity to win events and the all-around, but to avoid failing their nation’s team. While limiting difficulty might seem like the answer to this problem, higher bonus point requirements and vault ratings that make it difficult to achieve four 10.0 Start Values eliminate this as a national strategy and therefore for coaches and gymnasts who wish to compete at that level. Gymnasts must learn from the beginning of their gymnastics careers to execute skills technically correct for their body types. Correct execution will eliminate many of the causes of falls. Gymnasts must not tolerate falls and errors in practice to more of an extent than they have previously. Training practices, such as tracking the number of no-fall and no-error routines, might need to be instituted. Gymnasts must increasingly take advantage of mental and psychological training devices to increase their confidence to compete more perfectly. Gymnasts will need to increase the intensity with which they train, both with a no-fall, no-error psychology and by increasing the percentage of time they practice no-fall, no-error skills and routines. The upside of this is that the gymnasts who do these things will have a better opportunity to be successful and win in event and all-around competitions. A one-page checklist of virtually everything a Level 8 gymnast can and should do in their daily workout. Includes everything from daily goals and sport psychology to event training to conditioning and strength. A four-page document about flexibility and body posture testing. Initial flexibility testing is in line with the strategies in the Secrets to Level 8 Gymnastics book for young gymnasts to develop strength and flexibility first in their gymnastics career. Subsequent flexibility testing grading lets gymnasts know when they have reached acceptable and excellent levels. A list of all of the USA Gymnastics level 8 Skill and special Requirements on each event.